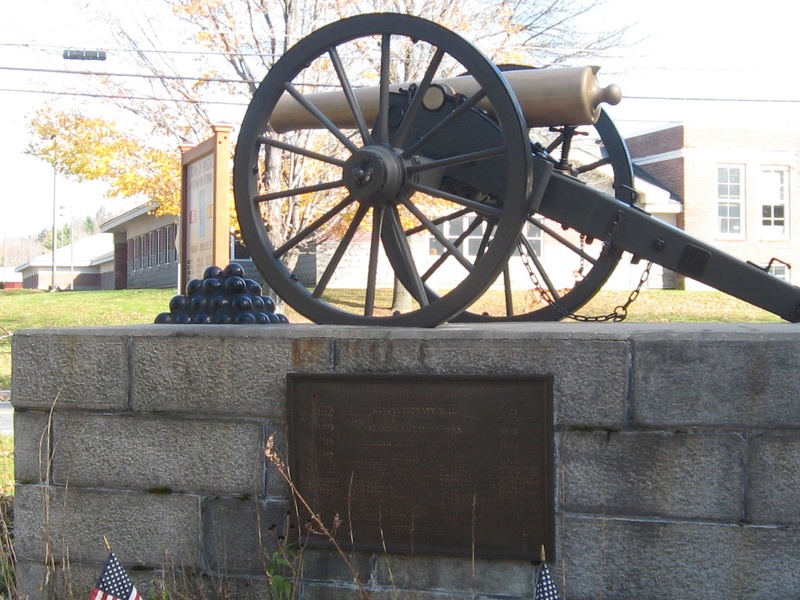 Hinsdale, Massachusetts, honors its war veterans with a memorial outside the town’s library. 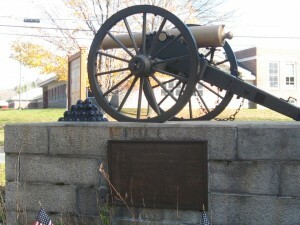 The monument, near the intersection of South Street (Route 8) and Maple Street (Route 143), was dedicated in 1923 and features a Civil War cannon. 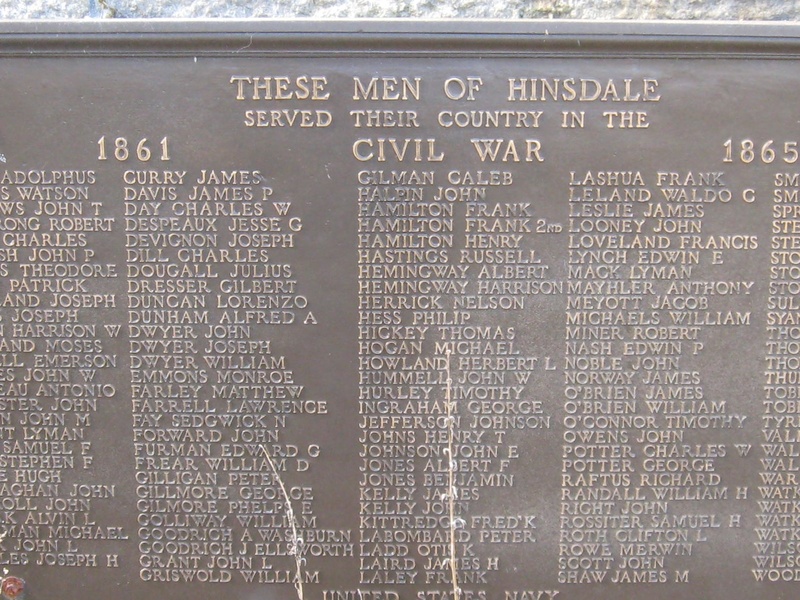 A plaque on the southwest face lists Hinsdale’s World War II veterans in four columns. A plaque on the northwest face honors veterans of the American Revolution, Spanish-American War, World War I, and fighting along the Mexican border in 1916. 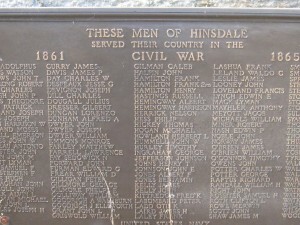 A plaque on the southeast face honors Hinsdale’s Civil War veterans. 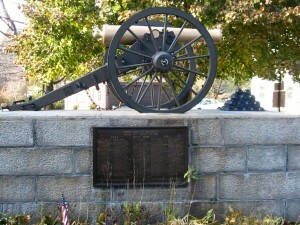 The cannon was used in the siege and battle of Port Hudson, Louisiana. Warren, who also served as governor of Wyoming, was honored for his actions during that battle and donated the cannon to Hinsdale. A U.S. Air Force missile base in Wyoming is named after Warren. 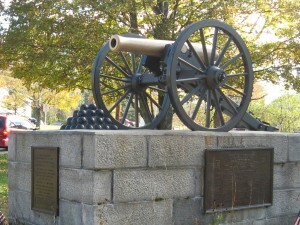 The cannon’s carriage was replaced during a restoration of the monument in 2006. Thanks to Mom and Dad for the images in this post. 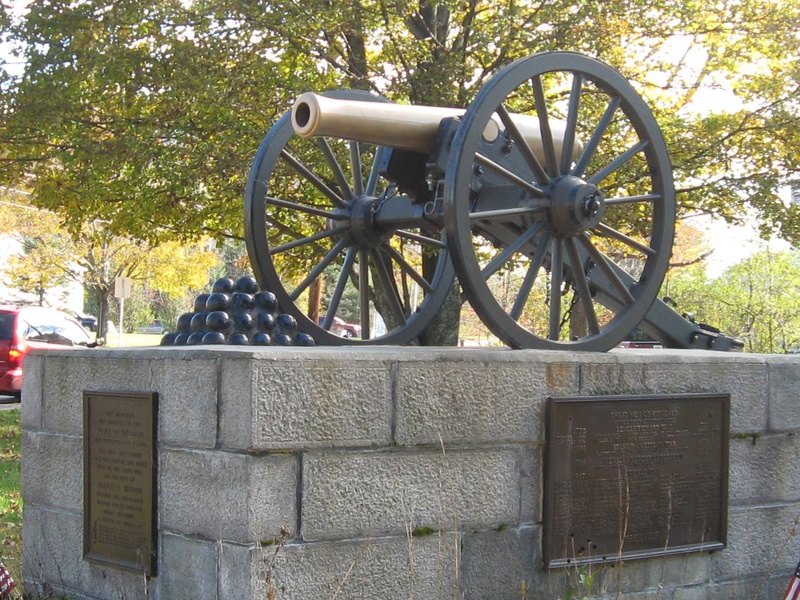 Previous PostPrevious War Memorials, Becket, Mass.